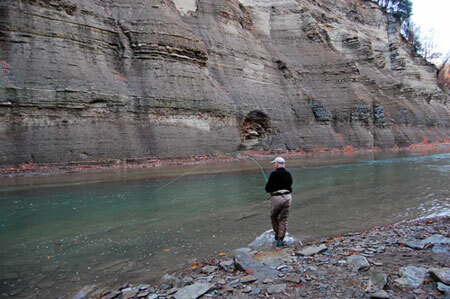 Reel Action Fly Fishing offers our clients over 15 years of fly fishing experience and expertise in western New York. Specializing in steelhead, salmon, rainbow trout, brown trout and lake trout, the service covers Lake Ontario and Lake Erie tributaries. Team Reel Action is a group of hard working motivated individuals that passionately instruct, educate, and help our clients fulfill their goals of catching and landing these spectacular fish. Reel Action guides are all New York and Pennsylvania State licensed and are fully insured. We invite beginners and advanced anglers alike to join us for a memorable day fly fishing this world class fishery. Please check out our personal bio’s to learn more about us and our areas of expertise. See you on the stream!